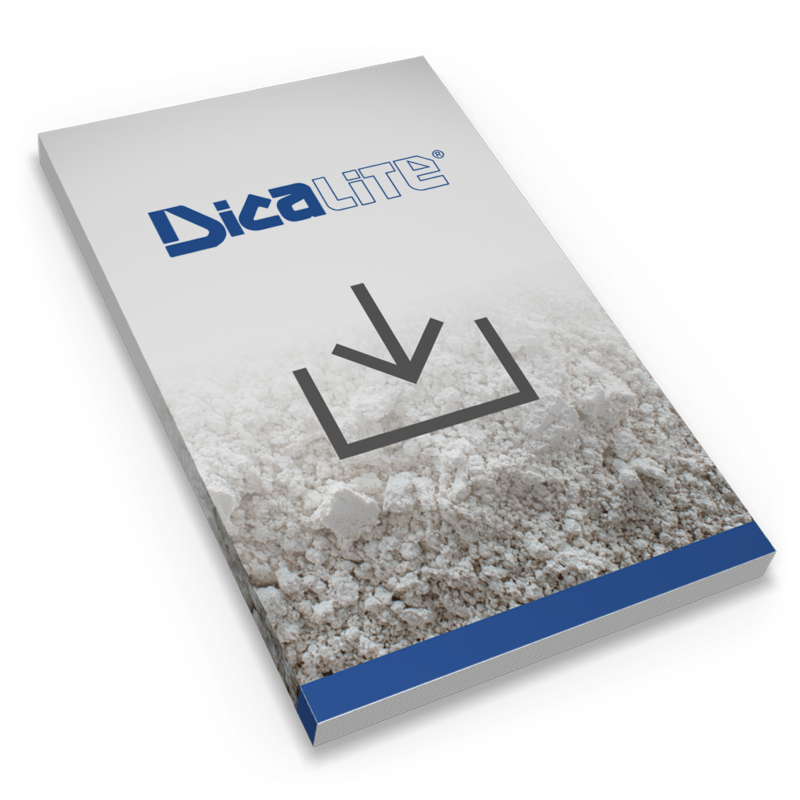 In paint, diatomite fillers are used as a flattening agent. Diatomite alters gloss and sheen, extends primary pigments, adds bulk and strength, and enhances coating adhesion. It can also be added as a whitening agent and extender where titanium dioxide must be minimized. In plastics, diatomite fillers serve as an antiblocking agent in polyethylene plastic, which helps in the separation of plastic sheets in manufacturing. It is used as a filler and anti-stick agent in asphalt shingles. In many rubber products, diatomaceous earth is used as a filler to improve adhesion resistance. Copyright © 2019 Dicalite Management Group, Inc. All Rights Reserved. Would you like us to periodically email you with the latest information about our products? I understand that Mineral Samples are only provided to Business prospects and research-focused educational institutions. I agree to be contacted by a Dicalite Management Group employee regarding product samples. Individual consumer Mineral Sample requests will not be considered.